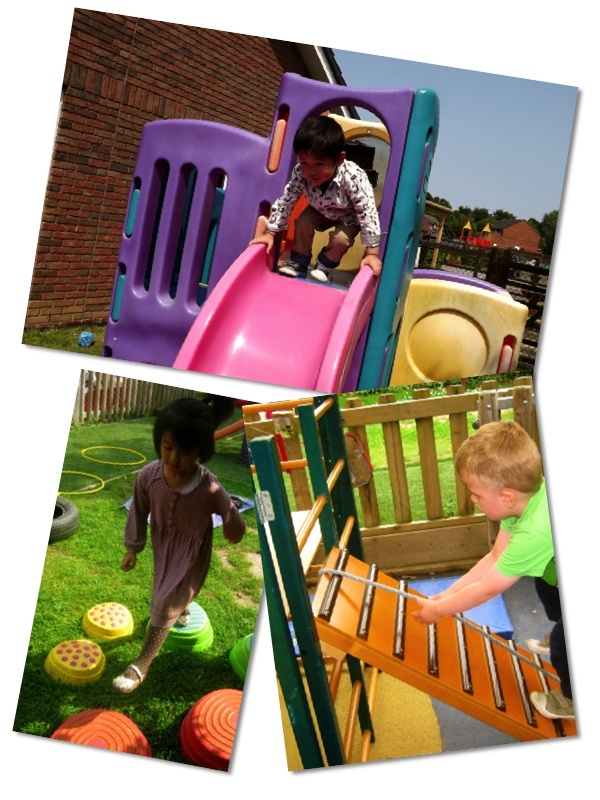 A range of equipment, both indoor and outdoor, such as a slide, climbing frame, trampoline, bikes, see-saws, balls, hoops, quoits, circle games and moving to music, give children the opportunity to increase their understanding of how their bodies work and to develop their confidence, balance and co-ordination. Fine motor skills are developed through use of pencils, crayons, chalks, paint brushes, glue sticks, scissors and other activities which give them the opportunity to develop their hand to eye co-ordination. Children will be given opportunities to understand about the importance of a healthy diet and ways to keep healthy and safe. We encourage children to manage their own personal hygiene.